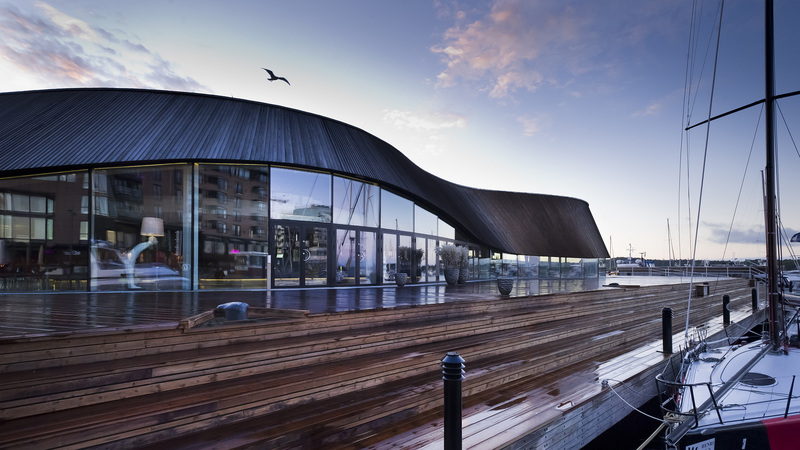 The restaurant ‘Ling Ling’ is the result of an open international architectural competition for a restaurant building on the Tingvalla pier at Aker Brygge, Oslo. The winning proposal by Norwegian architects Alliance and Danish architects MAPT is the first project in a planned modernization and restructuring of Aker Brygge. 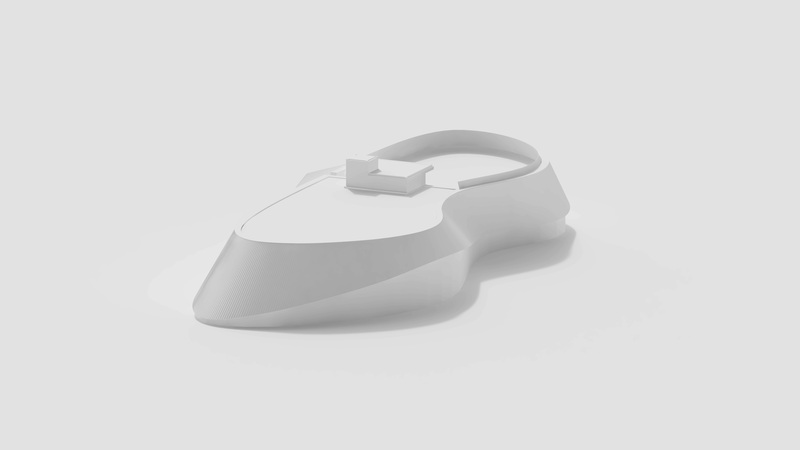 The architects wanted to design a sustainable building with a strong symbolic value. 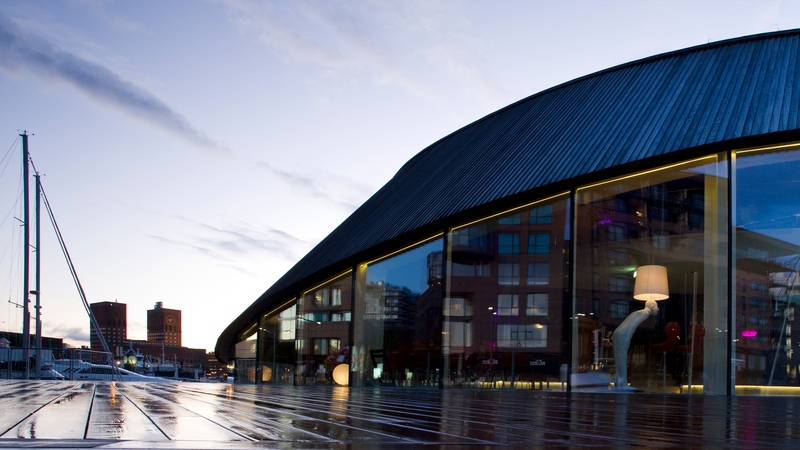 The building has no given front or back and offers a high degree of flexibility both on the inside and outside. The pier can still be used as public space and as a multi-purpose area for various cultural and recreational activities. 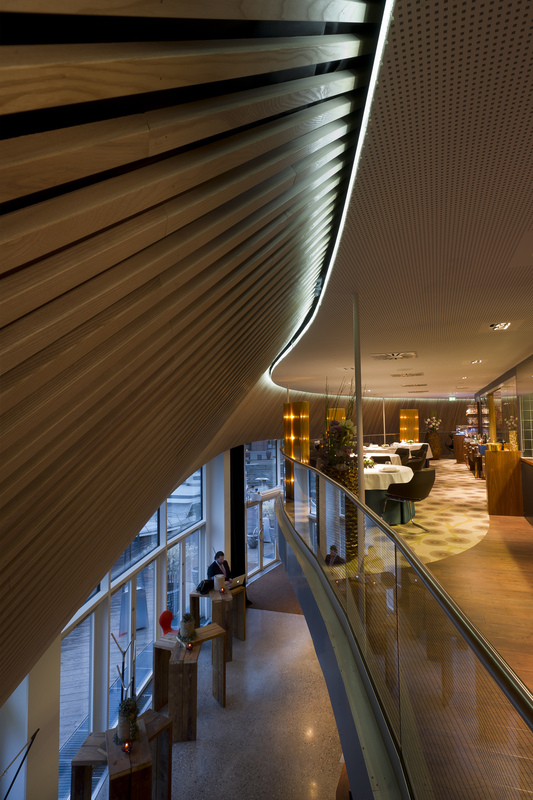 The characteristic wooden facade, a ribbon, in the shape of a wave, gives the building a distinct identity. 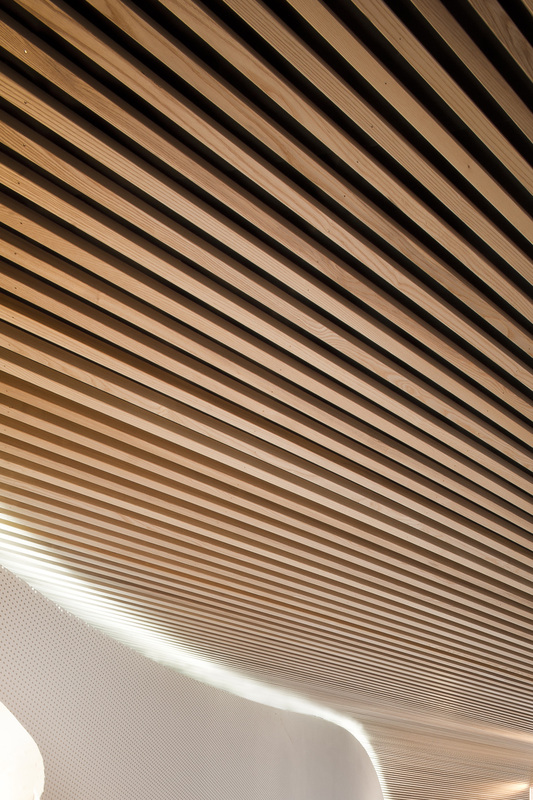 Inspired by the maritime surroundings and the Norwegian tradition of wooden construction, the multipurpose room takes its organic shape from the aesthetical language of a boat hull. Extensive use of wood, a renewable and environmental friendly material, is the main sustainable feature. The wooden ribbon has Kebony cladding, which is also used on the pier. 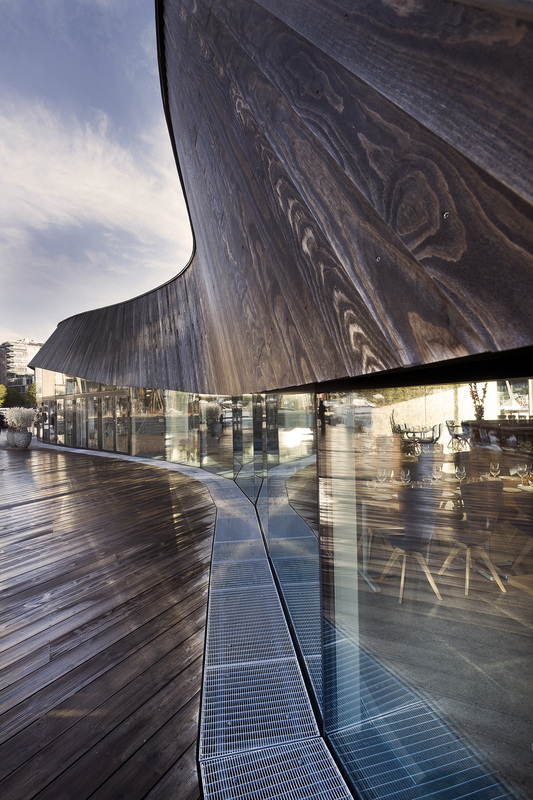 The wooden ribbon floats above the glass wall and pier surface, framing a horizontal view to the fjord and harbour. 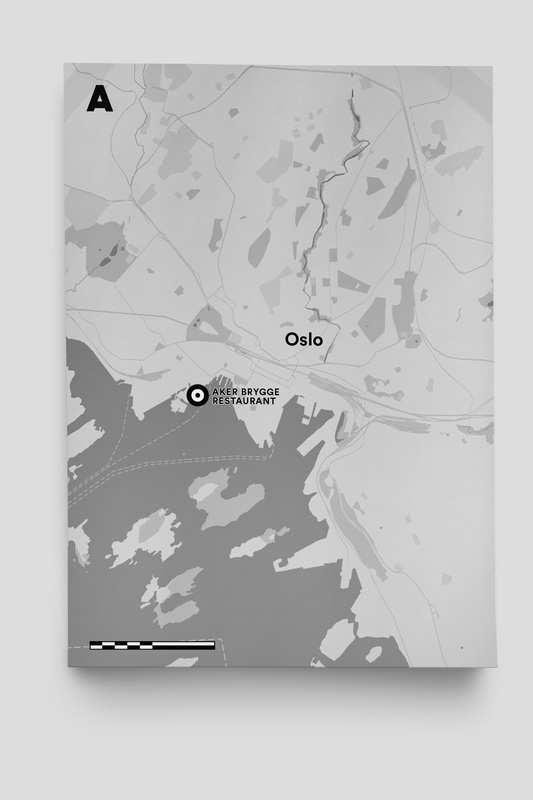 The view, the city and the fjord are present everywhere. The ability to move freely between the outside and inside is preserved in several directions of the building, by glass doors.